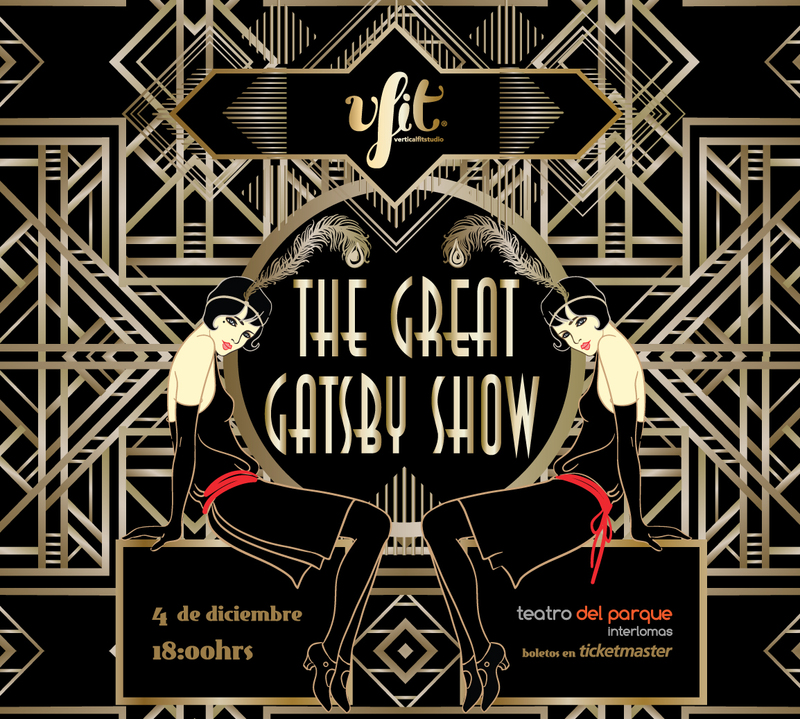 With this new showcase “The Great Gatsby” the goal of Vertical Fit Studio is to create a unique experience with our audience by creating original choreographies on Pole, Lyra and Silks combined with custom-designed scenography to create an artistic and multifaceted experience . In this case, we are adapting the novel The Great Gatsby written in 1925 by F. Scott Fitzgerald. Themes of decay, idealism and excesses are explored , creating a portrait of the Jazz Age in the Roaring Twenties through different acts that bring the passion of the characters with the grace and power of the performer to plunge the viewer into a world of elegance and charm. This is a one time show and we have the honor of sharing the stage with our good friend Danielle Romano who is with us for the second time. On this occasion the show will be presented in a theater called Teatro del Parque (www.teatrodelparque.mx) there will be 25 people on stage and we are expected to have an audience of at least 400 people.